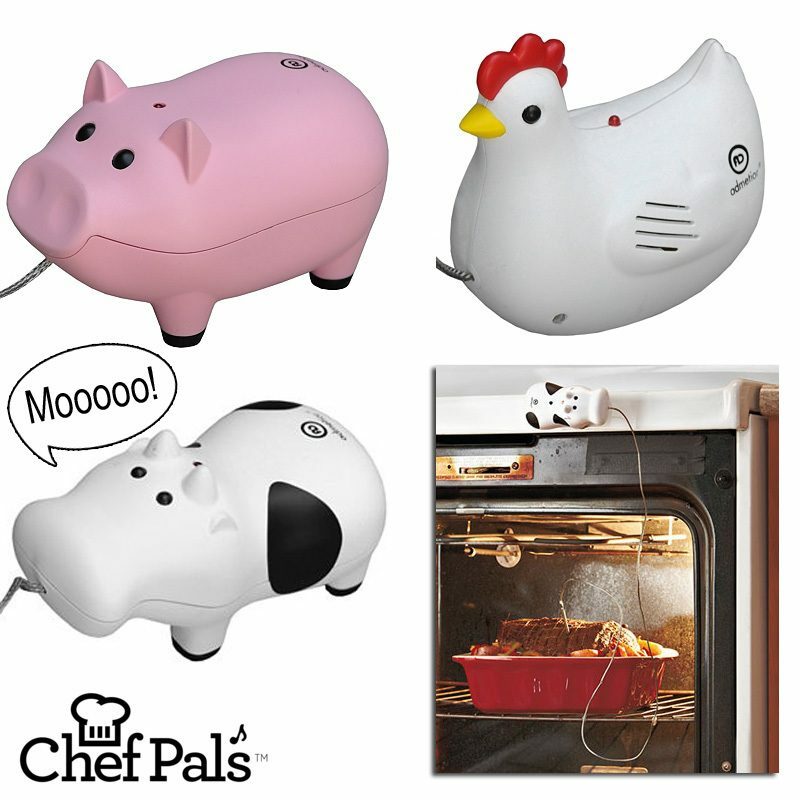 Chefs Pals Meat Thermometers Just $4.99! Down From $30! Ships FREE! You are here: Home / Great Deals / Chefs Pals Meat Thermometers Just $4.99! Down From $30! Ships FREE! 13 Deals has these Chefs Pals Meat Thermometers on sale for $4.99 (Reg. $30)! Chef Pal Thermometers are the new “must have” kitchen gadgets. Not only are they adorably cute, but they are also really easy to use and completely accurate! Simply place the steel probe into the center of the meat for each designated animal, extend the 36″ heat resistant cable outside of the oven or pan, and place the alarm unit on the kitchen counter or secure it to the front or top of the oven with its included magnetic block. Then leave the rest of the cooking up to your Chef Pal!